Millennials are a group you certainly want to appeal to when you're looking to let your property. According to statistics, millennials, also known as the Net Generation or Generation Y, make up around 25% of the world's population, which means that there are about 80 million people in this age group. They grew up in an era where technology dominates almost every aspect of their lives and having access to tech is a top priority for them. Apart from this, they also drive the rental market nowadays as they are not keen on having the obligation and commitment that a mortgage would tie them to. This trend doesn't look like it's going to change in the near future. If you want to let your property and attract this age group, you need to realise that they have some very specific things they want in a home and you should be able to 'speak their language'. As such, this brief guide to letting your property will not only draw the Generation Y but will potentially keep them around for the long haul, too. As a tech-savvy generation, millennials prefer to have advanced technology in their lives and homes. They will see it as a great benefit when you offer them the option to pay online so you should take this into consideration. 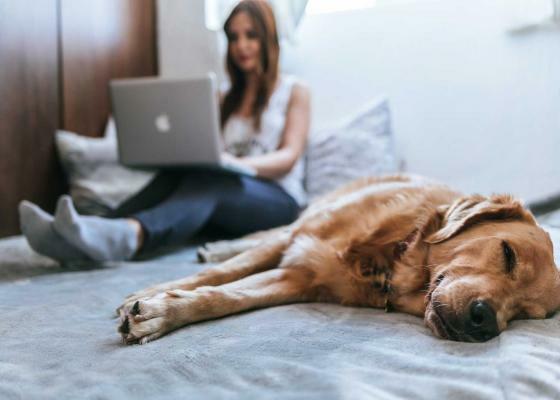 Many in this age group opt to have pets and because our furry friends are traditionally frowned upon by most property owners and landlords you will stand out from many other potential properties when you make your flat pet-friendly. As with technology, the Net Generation want to live in a home complete with great amenities. Consider having the kitchen upgraded and invest in modern appliances. Generation Y is aware of what is happening to our environment today, which makes them passionate about issues such as global warming, supporting sustainability and reducing their carbon footprint. Simply put, they would favour 'greener' letting properties that will allow them to live sustainably. Make yours environmentally-friendly by having recycling bins on-site and opting for energy-saving items such as LED lights bulbs, low flow toilets and shower heads. Millennials are well exposed to reports of crimes such as robberies and break-ins, which is why they tend to be cautious. As such, you must show your potential tenants that your letting property is readily equipped with safety features such as double locks, a gated community and security systems to offer them peace of mind. Although the Net Generation grew up with technology, they are also a group of active people who love opportunities for outdoor activities. In light of this, it's important for you to let them know what the neighbourhood offers, including places that will allow them to bike, hike or jog. It would also be a good idea if you share knowledge of any pubs, gyms, restaurants or concert venues that are within a close proximity to your property. Go digital. Millennials prefer to view available rental properties online and as a generation that soaks up social media, advertising your property through various platforms is a step in the right direction. Take advantage of channels such as Facebook, Twitter or Instagram and instead of posting an ad that is heavy on the sales copy, consider content that explains what life is like at the letting property you are offering. In the information-overloaded and time-constrained world we live in today, Kayabee is here to help landlords make property letting as simple and seamless as possible. We strive to make our platform the perfect solution by allowing you to choose from the best letting agents in London to find the right one for you. Choose and compare your options today. Should you have any questions, feel free to leave us a message by completing this form.